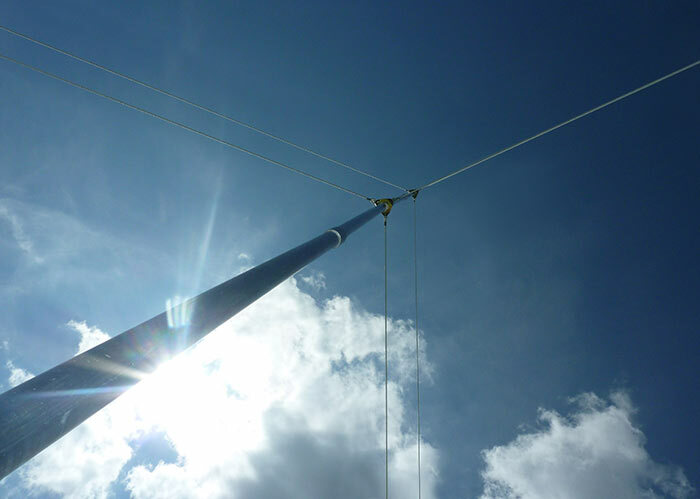 Hilomast designed the PA2 series of versatile tubular alloy masts with first-hand experience of the tough environmental conditions often encountered in the field. 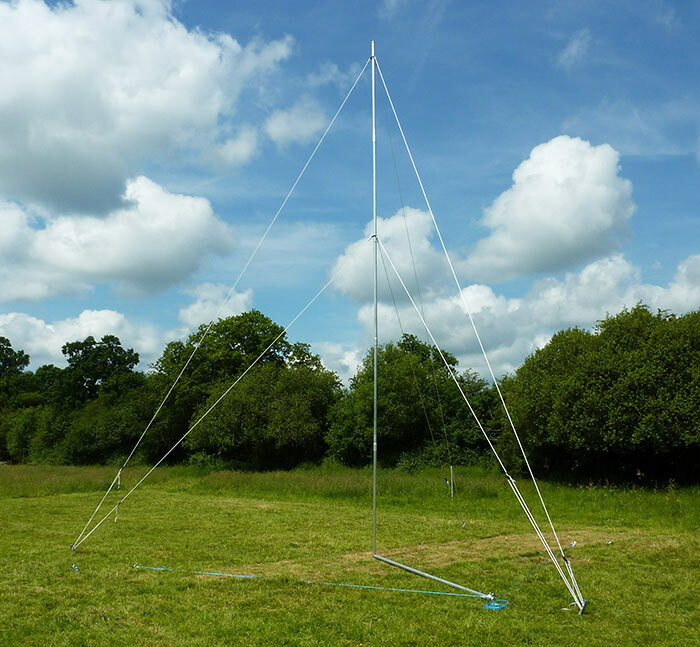 The PA2 has a section wall thickness of 7 SWG (.165 inch; 4.2 mm) and will withstand dropping on rocky terrain or being run over by vehicles and yet is light and compact enough to be stored unobtrusively in a portable shelter or carried in a Land Rover. 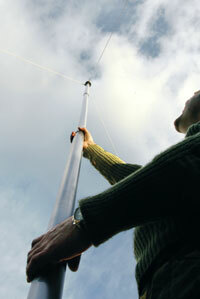 From a wide selection of stock components, masts can be supplied to suit customers’ requirements, from a transportable mast complete with canvas carrying bags and all necessary hardware for extension, to installations for mounting permanently, complete with masthead and intermediate halyards, masthead lighting to ICAO standards, extension kit and all ground anchors. As a development of the well-established PA2 Series Masts, Hilomast introduced the lighter duty 2″ OD x 14 SWG PA2 / BML Series for users who do not require the strength and ultra-rugged design associated with the 1 29/32″ OD x 7 SWG PA2 / B Series Masts. 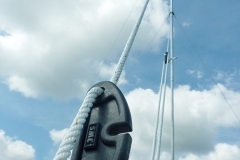 All mast sections in the Hilomast PA2 / BML Series are expanded on one end, forming a female socket which ensures easy and quick assembly requiring no tools. 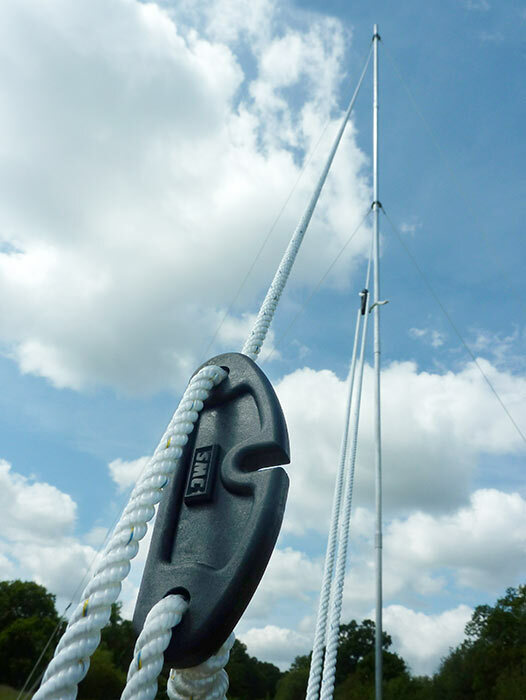 All masts in this Series are supplied complete with necessary stays in .236 inches (6mm) pre-stretched polyester, ground steelwork, a halyard for wire antennas and unless specified, a carrying kit bag. 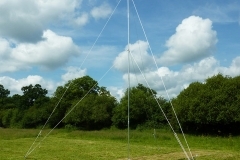 Available in 6′ (2m) height increments from 24′ (7.3m) to 48′ (15m) the PA2 / BML masts are available on a very short delivery time, and can be adapted to suit customers’ special requirements. 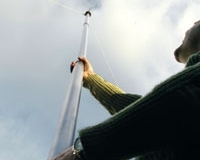 B) A single wire VHF dipole or similar up to 98 ft (or 30 m) long between supports and initial tension 66 lbs (or 30 kg). Larger headloads or higher windspeeds to customers specification on application may be considered.